This is it. You hit me for the last time. I look in the mirror. An old lady with bruises all over the face and neck looks back at me. I am 30 years old and I look like 50. As if someone pressed the fast forward without having pressed the play button. So many years passed without realizing it. The day I graduated from college, I met you. It was love at first sight. You didn’t want me to work. So I didn’t. You didn’t want me to hang out with my girlfriends. So I didn’t. You didn’t want me to say no. So I would only say yes. Annoying clients? I was beaten. Annoying friends? I was beaten. Losing money at the casino? I was beaten. One day I decided to pack a suitcase and leave. You arrived home just when I opened the door. You cracked up. I listened to myself uttering words I had never uttered before. He turned around and punched me in the face. Upon seeing blood all over the floor he got scared and ran away. The fearless man got overwhelmed with fear. He returned home after a week, with a big smile on his face, a cake a flower bouquet and a promise he would never hit me again. But he hit me again. When I told him I was pregnant and that I wouldn’t have an abortion. He hit his own child before he or she was even born. That was it. I decided right there and then that I would leave him. I knew about the locked desk drawer and the money he was hiding there. I also knew where he was hiding the key. I unlocked the desk drawer and I got all the money I found. 20.000 USD. I knew where he was hiding the gun. I took it. I put clothes and food on my suitcase and I called a cab. I would go to the airport and I would decide there where I would go. As I was closing the door behind me I said goodbye to the past which was promising death and hello to the future which was promising life. 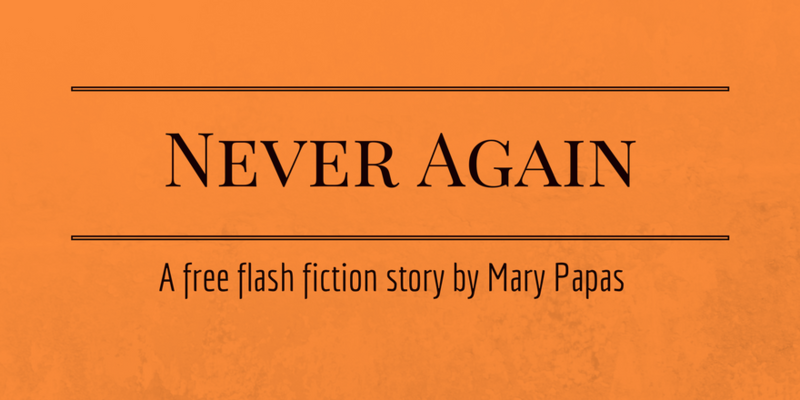 To read more stories by Mary Papas, visit her Amazon page here.